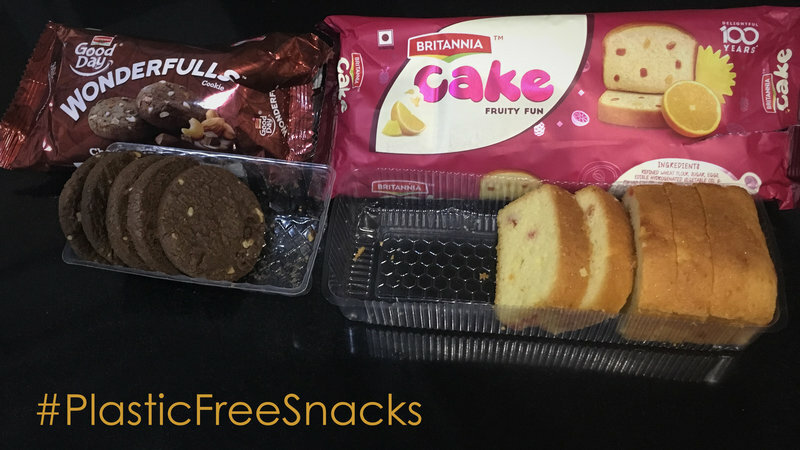 Pracheta Budhwar, a Bangalore citizen, has started this petition to Britannia Industries’ Managing Director Varun Berry, asking him to remove plastics from its products. Seeking support to sign the online petition on change.org, According to Budhwar, this is particularly important because plastic is interfering “with our hormonal system leading to infertility and possible cancer, I realized, to my horror, that I and the billions of others on this planet are slowly poisoning ourselves to death. Like millions of others, I love Britannia biscuits and cakes. But the melting butter and chocolate leave a bitter taste in my mouth every time I think about the unnecessary plastic waste that is created with every purchase I make. We know that plastic is extremely bad for the environment, especially single-use plastic. A United Nations Environment Program report states that the most common plastics emit traces of two powerful greenhouse gases that lead to further global warming. But when I read a report by the National Institute of Environment Health Sciences, USA, which says that plastic interferes with our hormonal system leading to infertility and possible cancer, I realized, to my horror, that I and the billions of others on this planet are slowly poisoning ourselves to death. That is why the UN has declared the theme for 2018 as #BeatPlasticPollution and on World Environment Day, India's Union Environment Minister Harsh Vardhan vowed to eliminate all single-use plastics by 2022, the 75th year of India's independence. Britannia is one of the most loved food and beverage companies in India and it is celebrating its 100th year of doing business. As per Varun Berry, MD Britannia, “The entire portfolio of Britannia products is going to change because we are changing the logo of Britannia and hence some of the packaging designs are changing and the formulations are changing”. So, I take this opportunity to invite Britannia to start adopting sustainable packaging. Make the 100th year celebrations count for something unprecedented and lead the way for the rest of the industry to follow. Sign my petition and urge Britannia to stop using plastic trays inside packets and replace them with eco-friendly, bio-degradable packing materials. Companies across the globe are opting for sustainable and environmentally friendly alternatives like forming trays with 100% paper, sugarcane bagasse etc. --- India alone generates three tonnes of plastic waste every minute. --- One truckload of garbage is emptied in our oceans every second. --- Plastic packaging makes up to 40% of plastic pollution. Plastic is killing us and the Earth we inhabit! Real danger is staring at our face and now is the only time to do something. Sign my petition and ask Britannia to phase out plastic trays and any unnecessary plastic in packaging by World Environment Day 2019.